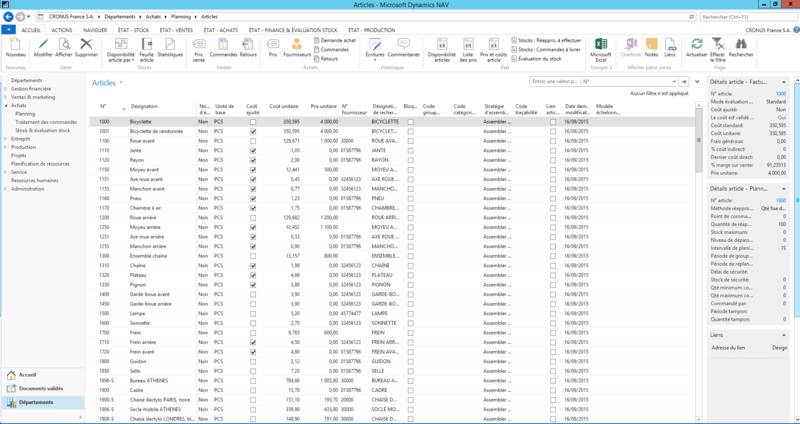 The supply chain & manufacturing management module in Microsoft Dynamics NAV allows you to manage production, stock, orders, and suppliers with one click. Microsoft Dynamics NAV includes several functionalities for supply chain management including sales & bills receivable, VAT on sales, purchases & bills payable, inventory, warehouse management, etc. It also offers effective optimisation of supplies & flow of goods. These days, companies need to strictly control all parts of the supply chain to stay competitive and keep up with innovation and technological advancements. That’s why Microsoft Dynamics NAV makes it possible to manage all aspects of production, covering planning, management, and optimisation, etc. You can manage production orders, inventories, and plan supplies and capacities. Reduce your production costs and anticipate your customers’ expectations using the ERP management tool. Simplify operations by automating manufacturing processes.